Mimi and Tim are self-proclaimed old-souls, and wanted their invitation to hearken back to another era, but weren't exactly sure what they wanted them to look like.. For this invitation, we collaborated with the talented Becca Cahan to create a hand - drawn invitation with soul and context. 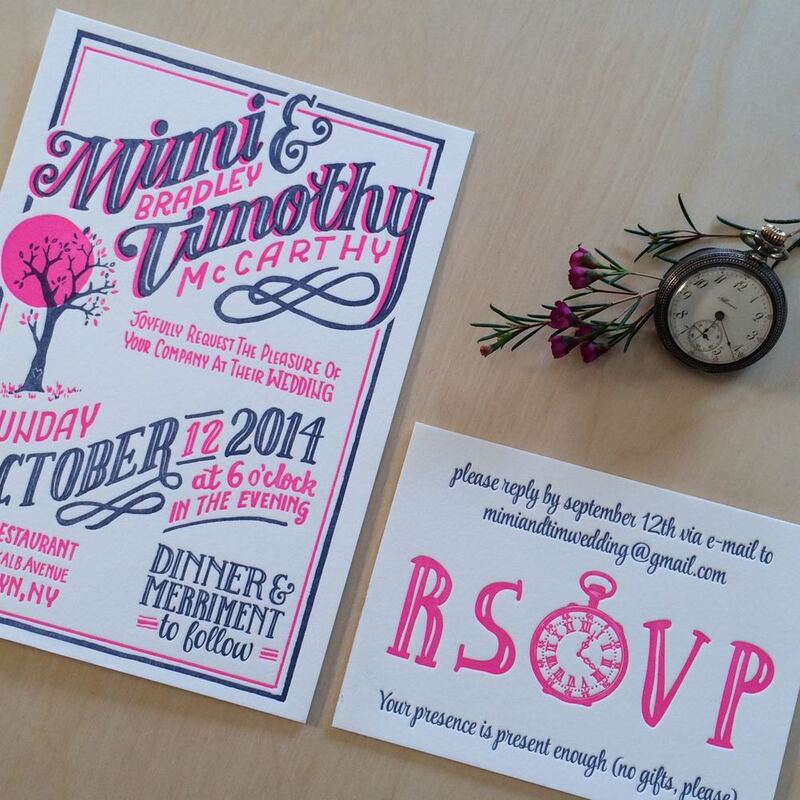 This invitation is letterpress printed on natural white 100% heavyweight cotton paper in neon pink and navy ink. "Not knowing what I wanted, [Rachel] guided me in a direction that felt smart, stylish, and personal with the right questions and the perfect amount of input. Beyond that, her sense of color and design is impeccable-had you described the color and layout I would have doubted-instead, I got more compliments than I ever expected: the coolest, most me, most beautiful, most fun....When they arrived, they were tied with a bow, nestled in gorgeous paper. I felt like I was opening a present, and they were better in person than I could have hoped."